Big Brother Naija 2018 is only a few days away and of course, fans still can’t get over the moments from the last season. Well just before the start of an action packed season which is set to commence on the 28th of January, M-Net West Africa have announced the return of ex-housemates come this Saturday 20th. The news was disclosed in a statement by Big Brother Naija host Ebuka Obi-Uchendu on his social media pages. 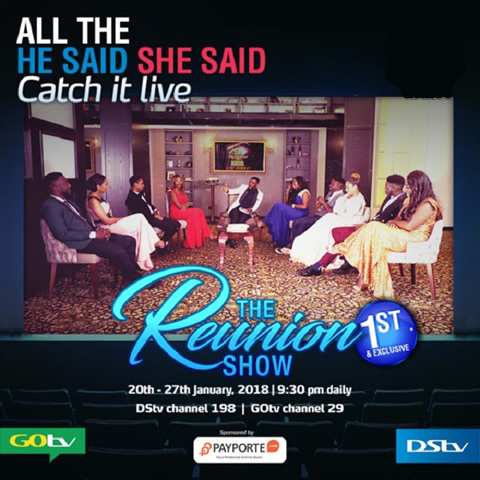 Ebuka said the ex housemates will be back on a show to run from January 20nd to Saturday, January 27th at 9:00PM daily on DStv channel 198 and GOtv channel 29. Trust me, even I wasn’t ready for the fire they brought.‎” – He added. Yep! Don’t say we didn’t inform you! Make it a date by 9:30pm [WAT] from the 20th to the 27th of January 2018. Stay connected as the housemates come together again to tell their own side of all that went down in the Big Brother Naija 2017 House. Big Brother Naija is proudly sponsored by PayPorte, Nigeria’s preferred online retail store.